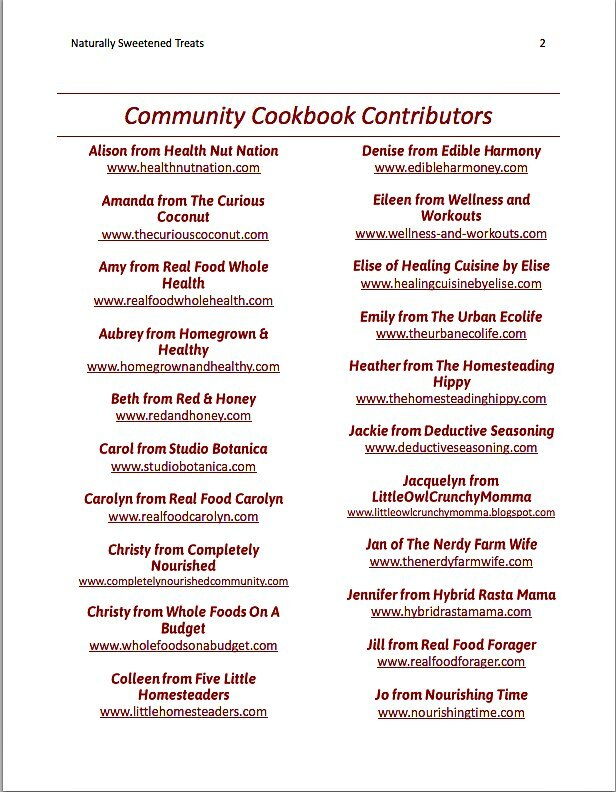 The Naturally Sweetened Treats Community eBook is a best-of-the-best cookbook with recipes compiled from 41 real food bloggers. What do I mean by best-of-the-best? Naturally Sweetened Treats is the result of a call from Pat Robinson of Heal Thyself and Aubrey Griffin Johnson of Homegrown and Healthy--a call out to real food bloggers, to have them contribute their very best healthy treat recipes. 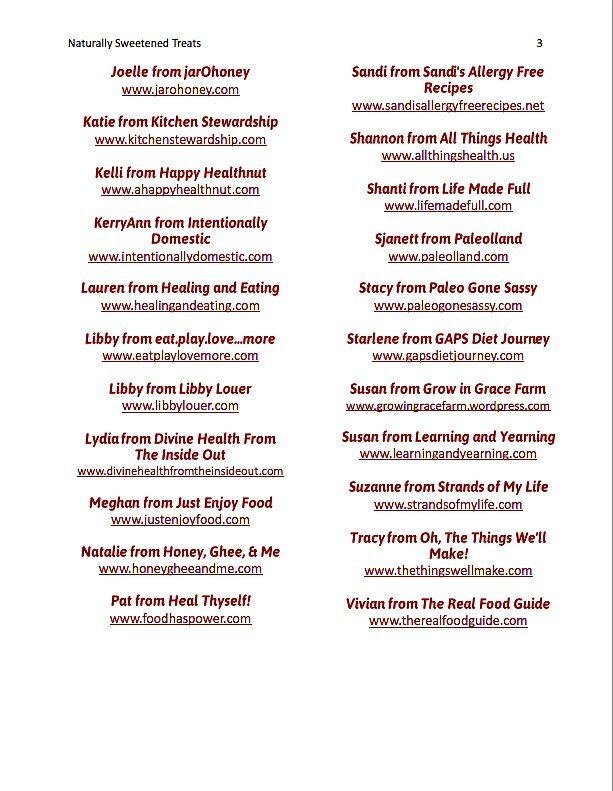 That's a total of 33 recipes that can be used by those on the GAPS Diet! Instantly available for you to download, after purchase. Immediately ready for you to view on your computer. Or you can download it to your smart phone, if you like. It can be emailed to your Amazon Kindle or other eBook readers. The file is yours to print if you would like to make a personal copy to keep in a recipe binder.